The Department of Art, Art History & Design’s Printmaking program is hosting a Fine Art Print Sale. 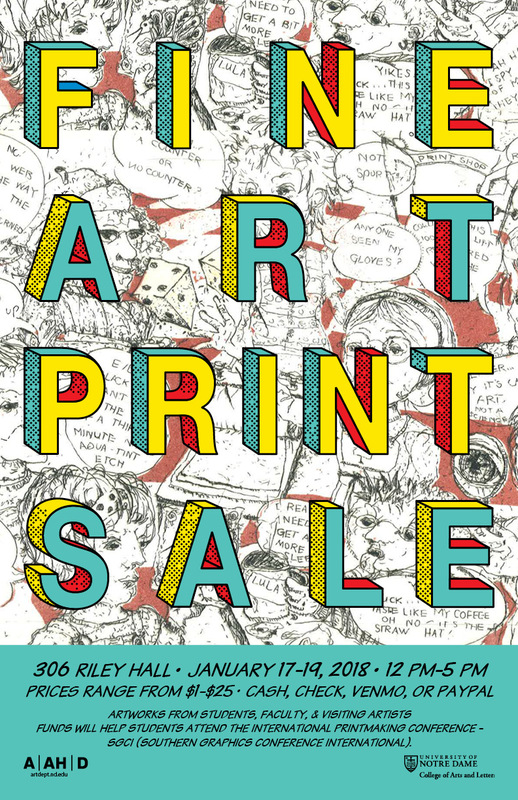 The sale is January 17-19 from noon to 5 p.m. in the commons area on the 3rd floor of Riley Hall of Art and Design. Prices range from $1-$25. We accept cash, check, Venmo, and PayPal. Funds will help students attend the international printmaking conference – SGCI (Southern Graphics Conference International) this spring.